David A. Tucker II has been creating fine art and documentary photographs since 1980. His photographic series, The Human Landscape, explores the human figure in studio and natural environments. In 1995 he began DANCEWORKS, collaborating with ballet and modern dancers to capture the transitory beauty of dancers in motion. He continues to explore and add new images to each photographic series. The images in DEPLOYED: Haiti, Kosovo, Iraq were taken from 1994 - 2004 while a member of the U.S. Army. His most recent work is a documentary series, Smoke, which focuses on those directly impacted by the 2014-2015 Ebola epidemic in Liberia. 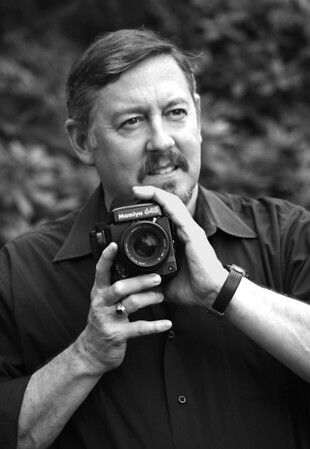 Tucker has exhibited and sold his photographs at a number of galleries and museums throughout the nation, including the Springfield Art Museum, Blue Sky Gallery, Photographic Center NW, M.I.A. Gallery, New York Center for Photography, Lightbox Photography Gallery, the DeMatteis Gallery, Silver Image Gallery, PhotoZone Gallery, Lumina Gallery and Photography West Gallery. His works may be found in several private collections. As both a fine art and journalism photographer, his images have been published in numerous publications including Black & White Magazine, The San Diego Union-Tribune, The Los Angeles Times, The Orange County Register, The Seattle Times, American Theatre Magazine, Dramatics Magazine, InTheatre Magazine, and the book, "Theater in America."